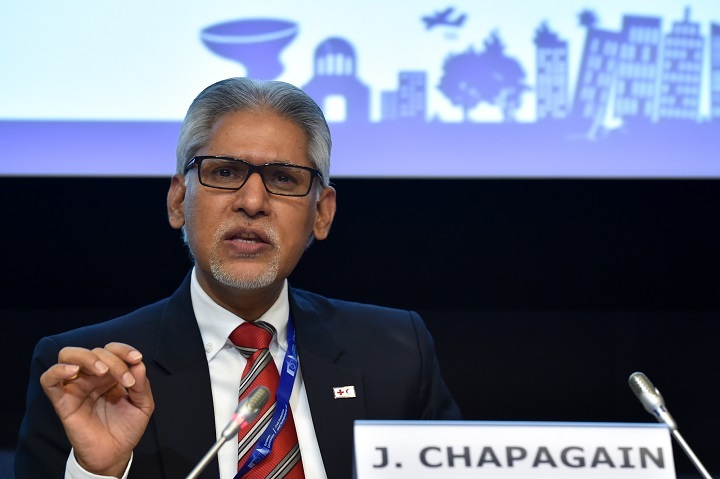 “How do we measure our success when it comes to disaster response?” was the key question posed by Jagan Chapagain, Under Secretary General for Programmes and Operations at the International Federation of the Red Cross and Red Crescent Societies (IFRC), while addressing participants of the sixth European Civil Protection Forum held in Brussels on 5-6 March. Under the theme ‘Civil Protection in a Changing Risk Landscape’, this year’s forum gathered European civil protection experts and delegates from neighbouring and partner countries to reflect on the future of the Union Civil Protection Mechanism (UCPM). “Increasing budgets and number of operations is not a sign of success”, Mr Chapagain said. “Success is reducing the needs and the number of people who require assistance”, he underlined during the plenary session on ‘Working across sectors to increase climate resilience’. In a context which sees the impacts of climate change increasing disaster risks worldwide, speakers from the EU institutions and Member States also shared their views on what should be done to mainstream climate resilience. Reflecting on the terrible impact of forest fires in numerous European countries last summer, Member of the European Parliament, José Manuel Fernandes (EPP, Portugal), stressed that prevention is better than cure: “it is the most important, the real solution”, he said. Indeed, the European Commission’s proposal to revise current UCPM legislation requires a stronger commitment from participating states in their prevention and preparedness measures. Finally, panellists highlighted the importance of ensuring coherence between climate change adaptation and disaster risk reduction policies, as well as the key role played by communities themselves. “Resilience work is not done in Brussels, or New York, or Geneva… it is done at the community level, by the community, and for the community”, concluded Mr Chapagain. In another panel discussion addressing coordination in health emergencies, Emanuele Capobianco, Director for Health and Care at the IFRC, also stressed the centrality of local actors in detecting, preparing and responding to health-related hazards at the community level. Sharing lessons learned during the 2014-2016 Ebola operation in West Africa, he explained how the active participation of community actors, including Red Cross volunteers, was critical to discussing and agreeing culturally appropriate ways of dealing with the triggers that contributed to spreading the disease, such as by adapting traditional burrial practices. He thus underlined the need to “strengthen community capacities for surveillance so they can detect the early onset of a disease”, as panellists agreed that the international response to the Ebola outbreak was too slow. “The countries were awfully unprepared and under capacitated, and so was the World Health Organization (WHO)”, explained WHO Director of Global Initiatives, Peter Graff. The need for effective and rapid allocation of financial resources and the importance of ensuring a global coordination mechanism were also stressed, because “no institution is able to cope alone with an epidemic of this magnitude”, said Stephan Gunther, Head of Department of Virology at the Bernhard-Nocht-Institute for Tropical Medicine. As civil protection actors, representatives from eight European Red Cross Societies also contributed their experience and insight to the forum’s discussions, which were structured around the four pillars of preparedness, response, prevention, and resilience. 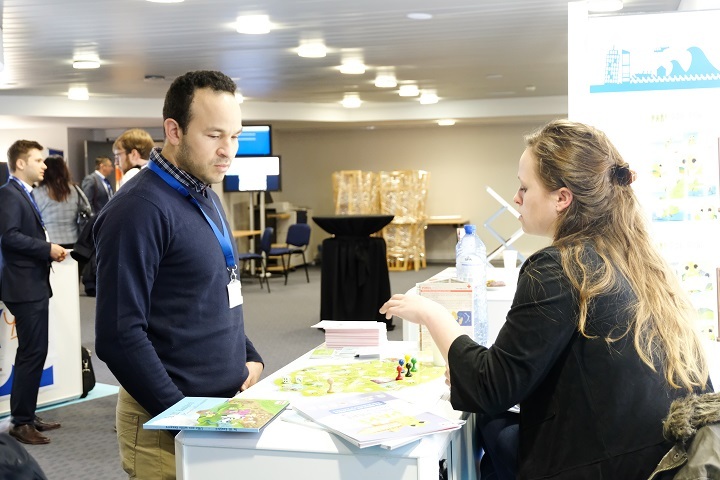 At the forum’s exhibition on ‘Disaster risk awareness and communication’, the Austrian Red Cross and the French Red Cross showcased activities funded under the European civil protection instrument. The ‘REcheck’ (Resilience Check) project asseses the preparedness of individuals and groups in a structured way by means of an interactive question and answer process using an application on a tablet computer. Families and households are then supported in discussing, planning and practicing different scenarios so that they can be better prepared when a disaster or crisis hits. On the other hand, the French Red Cross’ ‘Paré pas Paré’ project works to reduce the vulnerability of Reunionese populations to major natural hazards through a game designed to raise awareness and promote appropriate behaviour. Organised every two years by the European Commission’s Civil Protection and Humanitarian Aid Operations Directorate-General (DG ECHO), the European Civil Protection Forum is the largest recurring public event on European civil protection coordination. It brings together various actors from the civil protection community to take stock of common achievements in the disaster risk management field, share best practices and ideas, and discuss ways of addressing new challenges together. Read the European Civil Protection Forum 2018 final report.